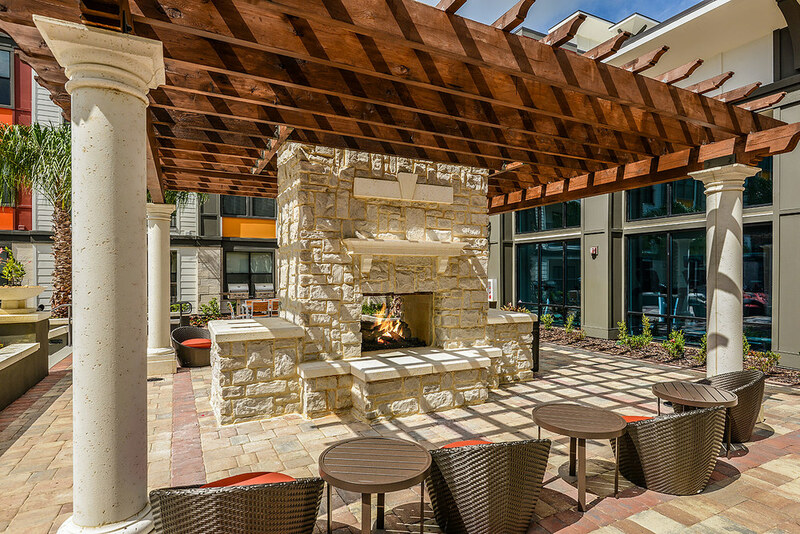 Redefining luxury apartment living in east orlando. THE PROJECT: In 2014, Catalyst Development Partners broke ground on EOS Orlando Apartments – a 296 unit, four-story multifamily project. This uniquely designed, ultra-luxury development has a level of sophistication not previously seen in the East Orlando market. Developed with professionals and emerging millennials in mind, EOS was carefully planned to integrate conveniences and tech-driven efficiencies that are highly desirable to these prospective residents. 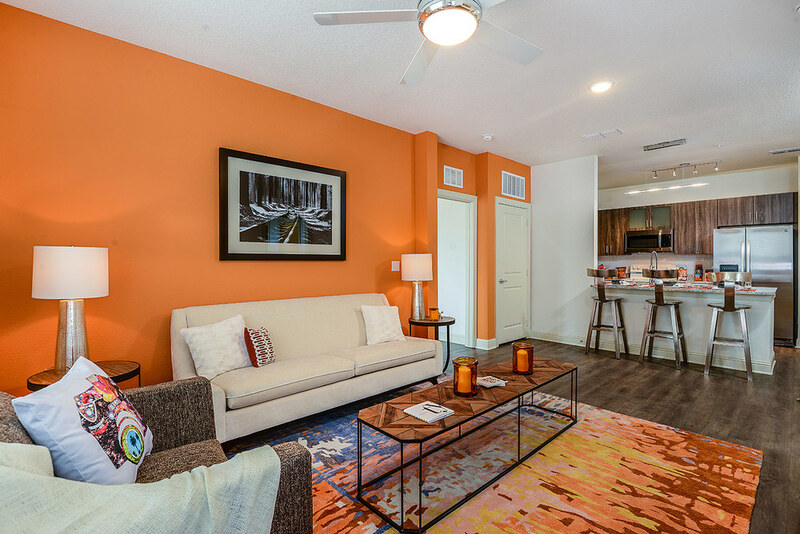 EOS offers studios, one and two-bedroom apartment homes ranging from 488 to 1,199 square feet of living space. Interior finishes include granite counters, subway tile backsplashes, two-tone cabinetry and wood-inspired plank flooring. 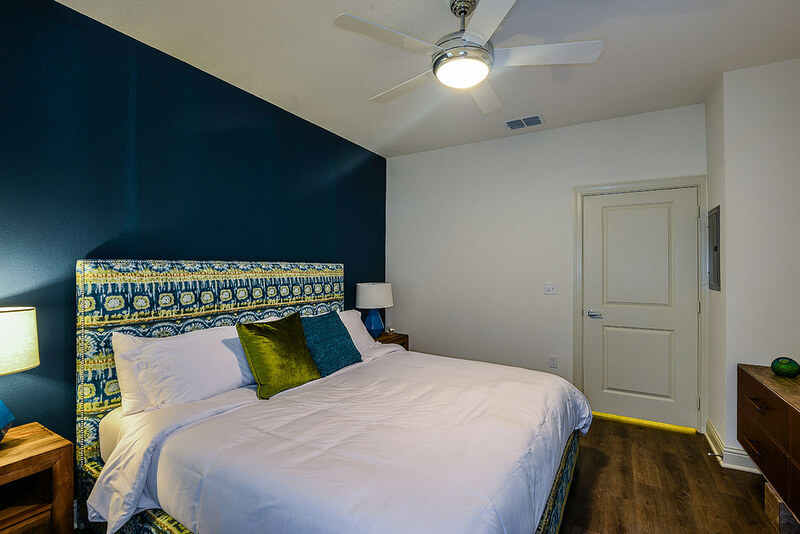 Floor plans incorporate gourmet kitchens and islands, stainless steel appliances, walk-in showers, nine-foot ceilings, extra large closets, and full-size, front loading washers and dryers in most units. 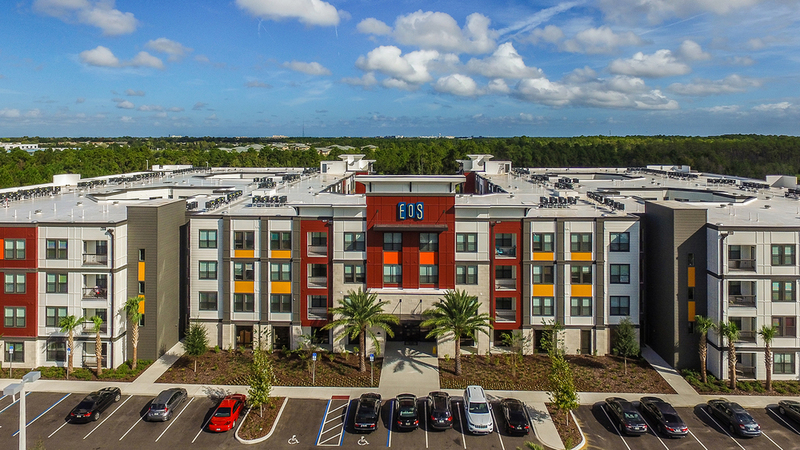 EOS is a featured component of Town Park – a Publix anchored shopping center near the University of Central Florida, Central Florida Research Park, Waterford Lakes Town Center and Quadrangle Office Park. 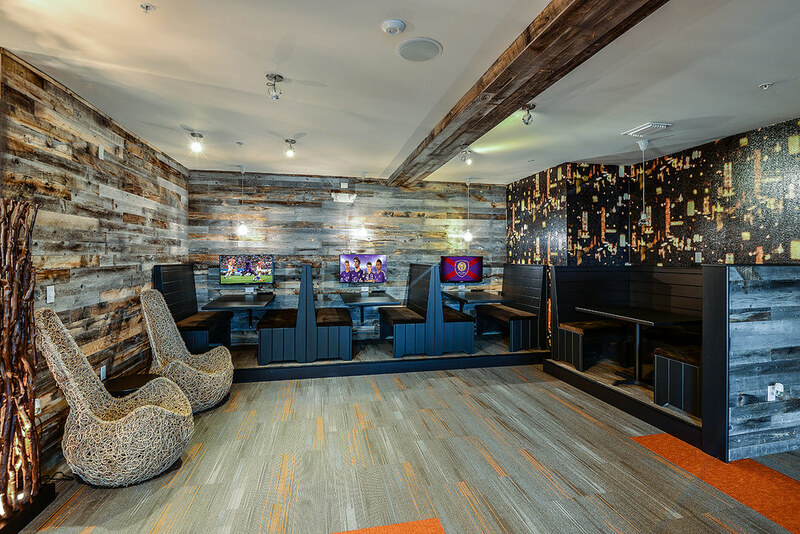 THE CATALYST: In order to serve the Millennial audience of East Orlando, EOS was critically planned to provide technologic luxuries, personal retreats and social opportunities. Harnessing elemental inspirations of Earth, Water, Fire and Air, EOS contains four distinct courtyards - with tranquil fountains, hammocks, and meditation gardens - connected by outdoor media dens, or “caves,” that encircle a grand pool in the center of the property. 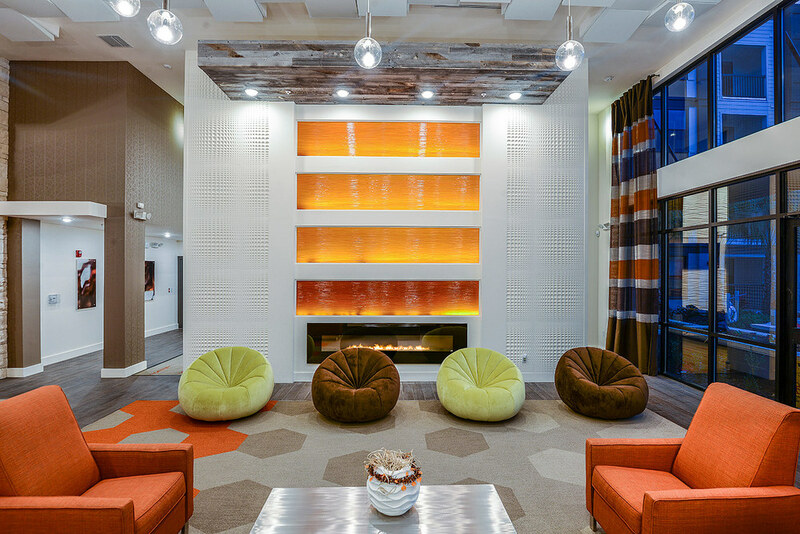 The Resident Clubhouse includes a central kitchen, full media lounge with complimentary WiFi, Cyber Café with streaming video, gourmet coffee and refreshments, pet boutique, tanning booth, conference room, entertainment lounge with billiards and gaming, plus concierge services for dry cleaning and parcels. 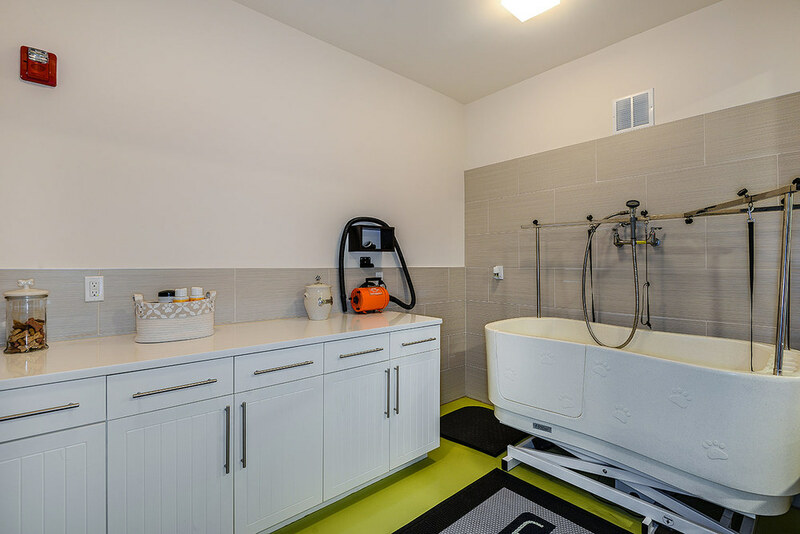 The community boasts a state-of-the-art fitness center with two-story windows allowing for ample natural light, electric car charging stations, community ZipCar access and a spacious Bark Park. THE RESULT: First residents began moving into their new homes in July 2015, with final release of completed units during Fall 2015. In November 2015, The Florida Apartment Association designated EOS as a Gold Certified Smoke-Free community. 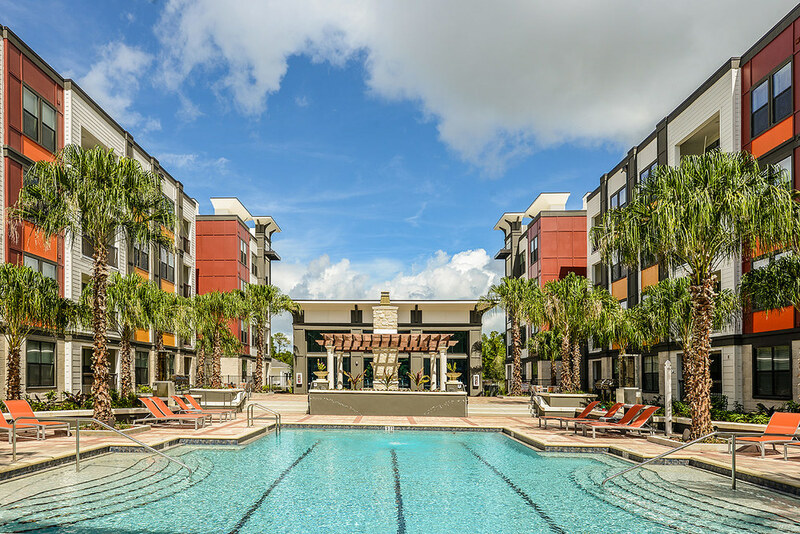 In August 2016, EOS Orlando received a Grand Aurora Award, with national ranking, as the US Best Multifamily Housing Community. 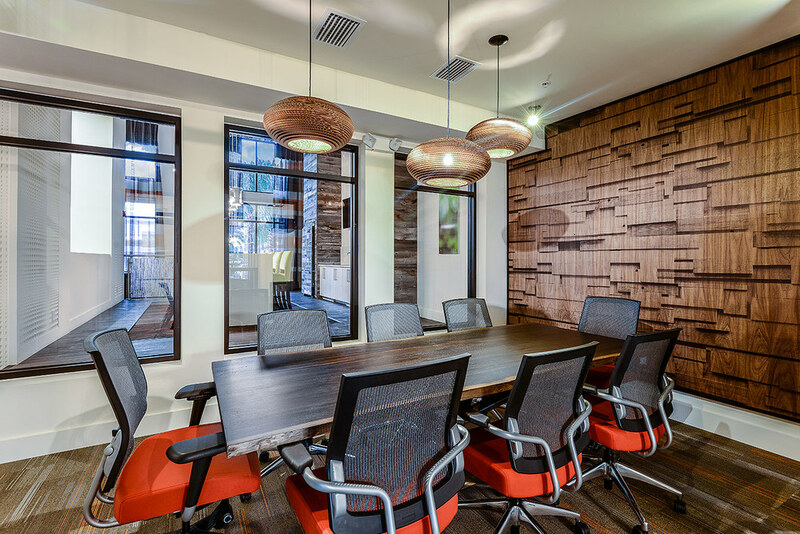 While continually enjoying top of the market rental rates and leasing velocity, Catalyst Development Partners successfully sold EOS Orlando in December 2016.